I am particularly excited for (and anxious about) the women’s Olympic slalom race – mostly due to Mikaela Shiffrin and the very realistic chance that she could win Olympic gold. Thankfully, this is a night race in Russia which means we in the USA can easily catch the first run live in the morning (7:45 am EST) – only hours away. Now it’s just that pesky 11:00 am meeting I have to do something about. Don’t think I can bear to miss the conclusive second run. 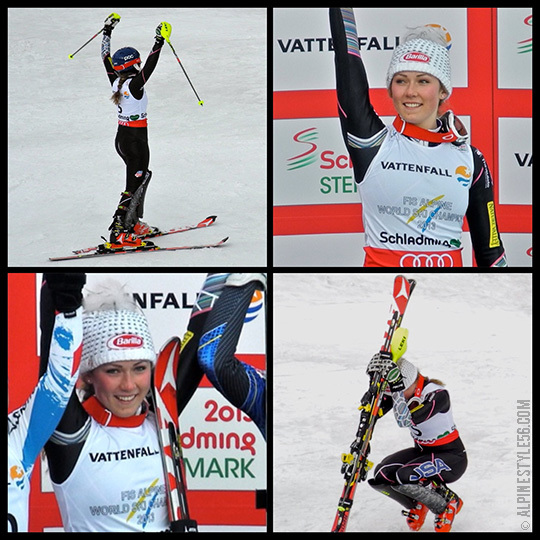 . .
Mikaela winning the 2013 Slalom World Championship, photos taken at Schladming, Austria. She went on to win the 2013 FIS Slalom Title at Lenzerheide, Switzerland. Could Olympic gold be next? 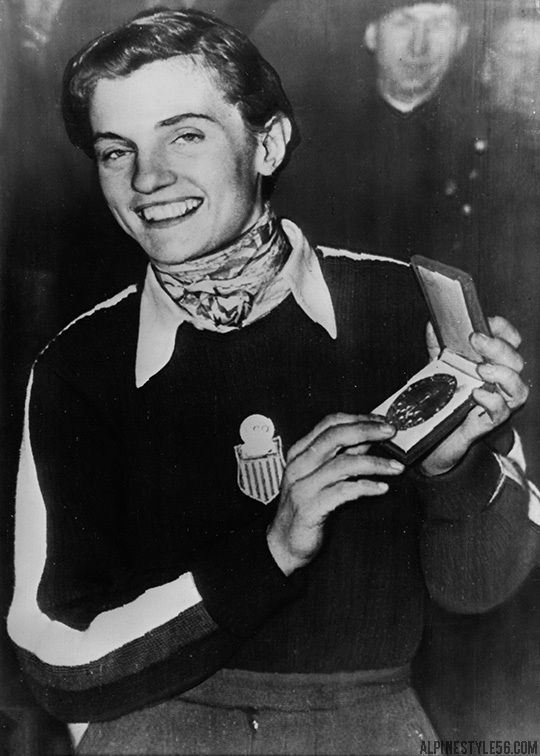 2/19/1952 AP Photo: Andrea Mead Lawrence, U.S. women’s ski star from Rutland, Vt., holds up the gold medal she received in Oslo, Norway, yesterday. 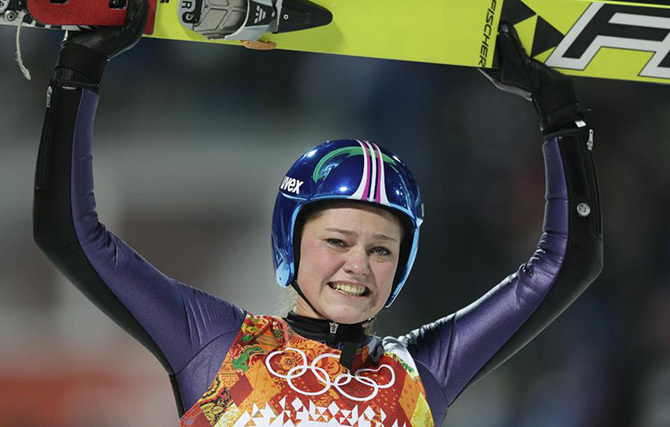 The medal was the Olympic award for her victory in the women’s giant slalom at the opening of the Winter Olympics last week. One day following this photo, Andrea would go on to win a second gold in slalom. 2/10/1960 AP Photo: HAPPY BETSY ZOOMS DOWN SLOPE – You can tell from Betsy Snite’s expression that she’s happy to get in her first practice run down Papoose Mountain today since coming to Squaw Valley, Calif., to get ready for the Winter Olympic games. Betsy, of Norwich, Vt., is an experienced international competitor rated a good prospect to win a medal for Uncle Sam. 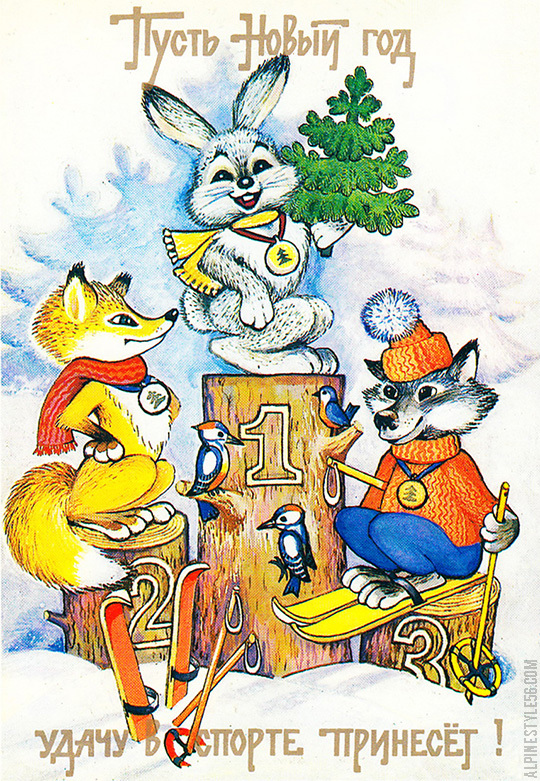 Betsy Snite won slalom silver at these Olympics. 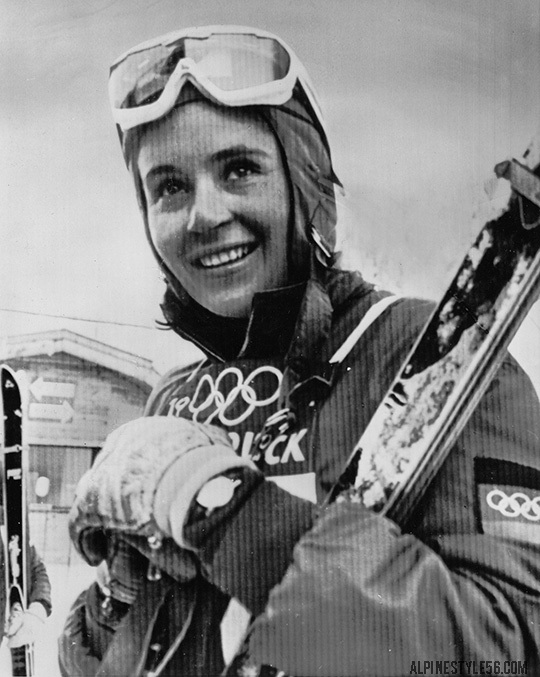 Barbi Henneberger of West Germany followed Snite with bronze in the 1960 Squaw Valley slalom. 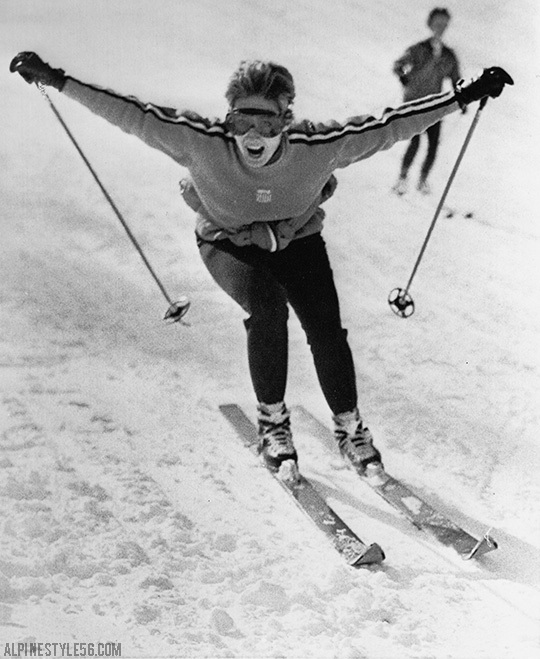 1/25/1964 AP Photo: AWAITS OLYMPICS OPENING – This is Barbi Henneberger, a young German skier. 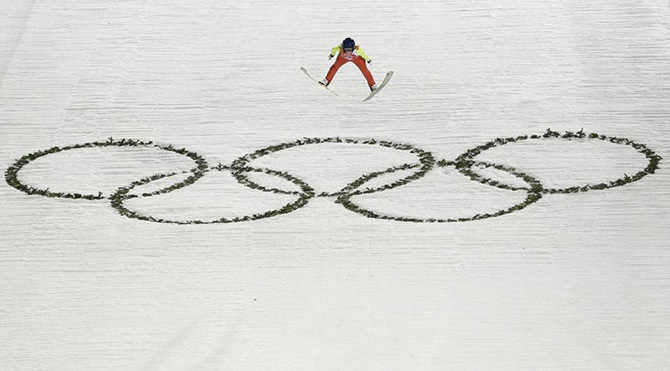 She is one of many girl skiers gathered at Innsbruck, Austria for the winter Olympic games which begin on Wednesday. Barbi won a bronze medal at the 1960 Olympics. 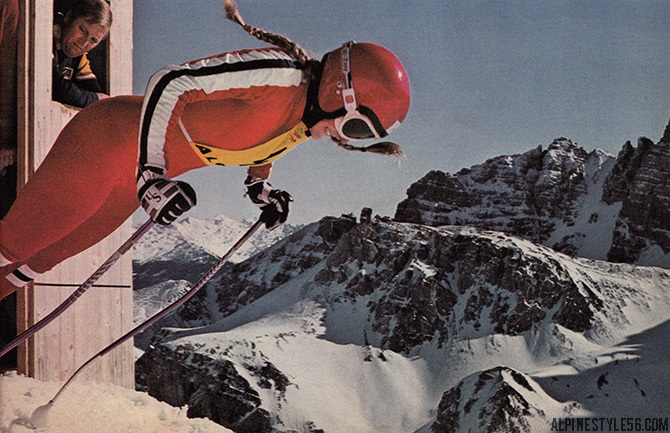 2/13/1970 AP Photo: Val Gardena, Italy – Barbara Cochran of Richmond, Vt., curls around one of the 60 gates to give United States its first silver medal of this world alpine ski championships, here today. She placed second in the women’s special slalom, won by France’s Ingrid Lafforgue. 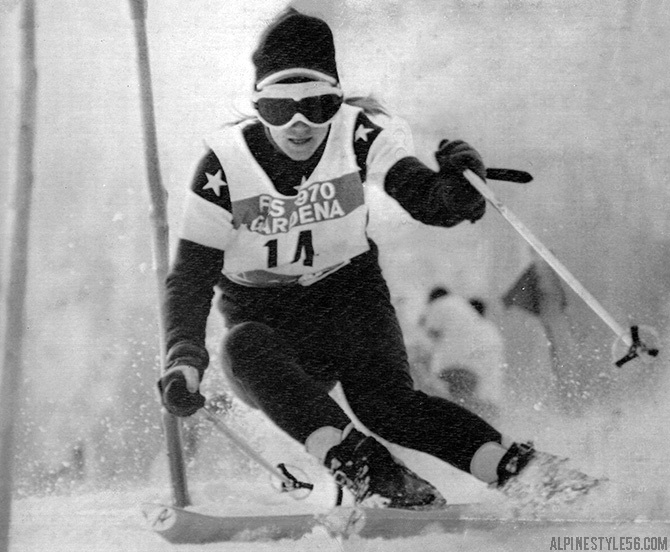 Two years later, Barbara won the slalom at the 1972 Sapporo Olympics. 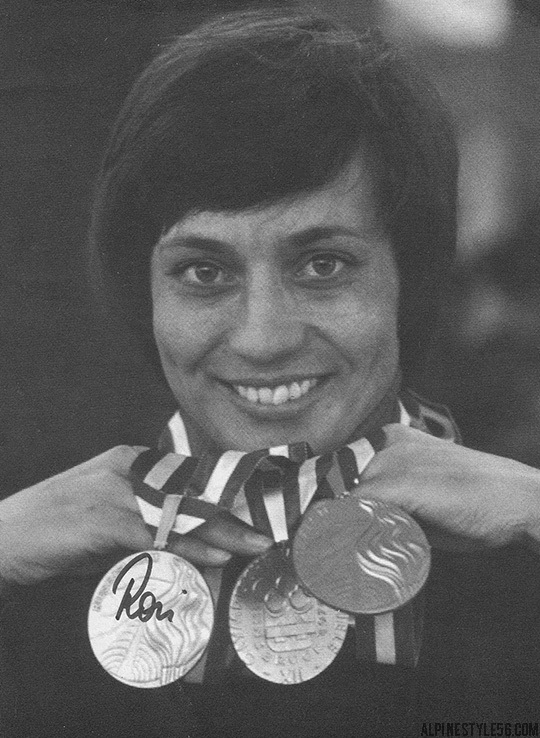 Rosi Mittermaier of Germany wears her three Olympic medals earned in 1976 at Innsbruck, Austria. The haul includes gold medals for slalom and downhill, a silver medal for giant slalom. For Sochi 2014, it is the men’s slalom that is important to Rosi as favorite Felix Neureuther is her son. 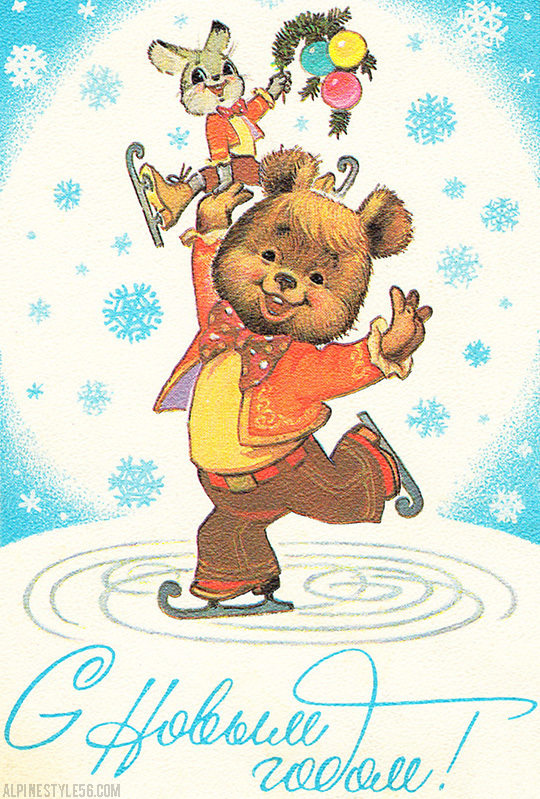 Olympic skeleton racing concludes today. I know nothing about the sport other than it looks both insane and incredibly cool. Last summer, I found this vintage photo — when else will I have a relevant occasion to share it! Some cursory research informed me that St. Moritz, Switzerland is the birthplace of skeleton racing. 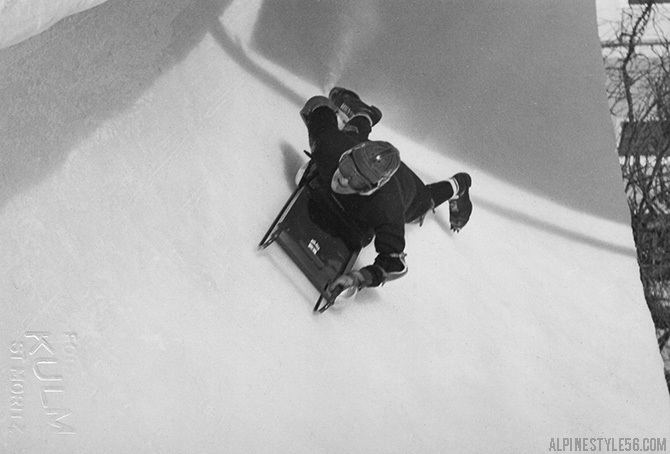 The head-first position was first used in 1887, a variation on the established sports of bobsled, luge and Cresta sledding. Note the embossed Kulm St. Moritz, of the famous hotel integral to the history of this and apparently many other winter sports. 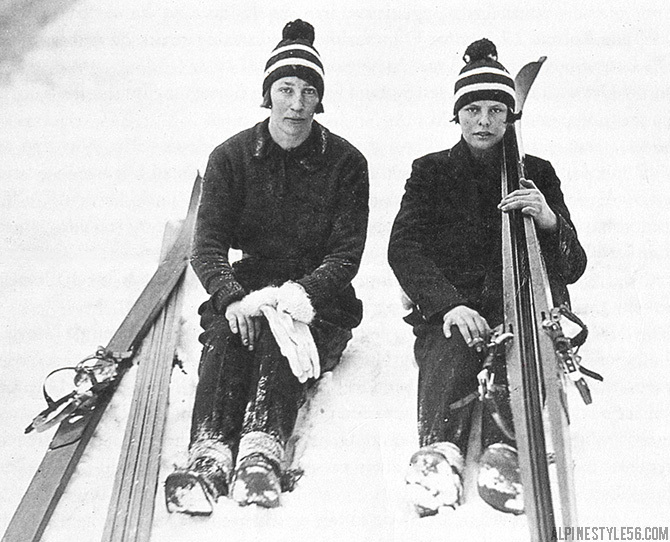 Johanne Kolstad and Hilda “Nusse” Braskeruds of Norway, pioneers of women’s ski jumping in the 1930s. 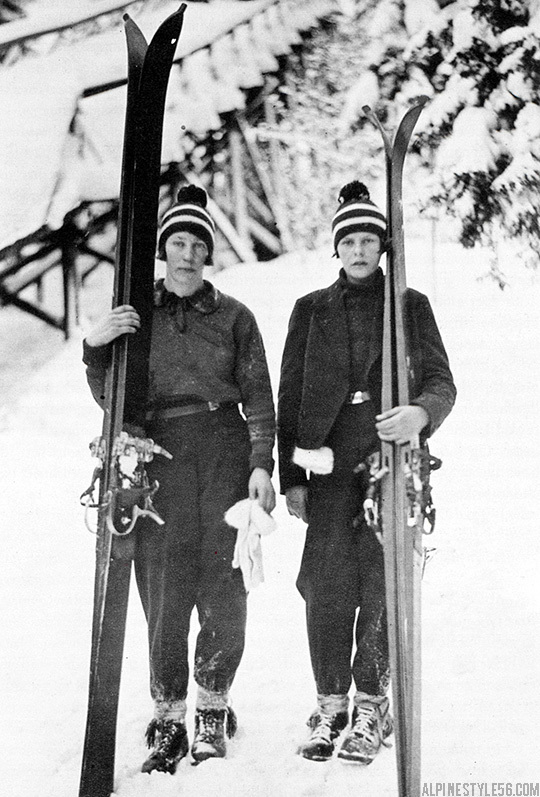 Kolstad (left) toured the U.S. for five years in the mid-1930’s jumping at exhibitions. 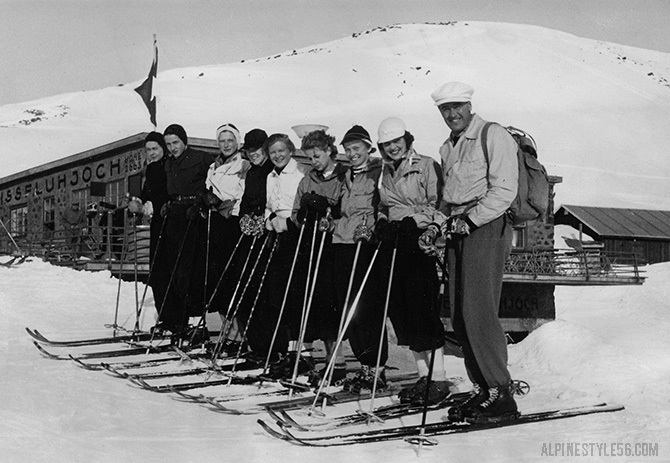 She was popular with fans and known as The Queen of Skis (or Skies) or The Wonder Girl. Her 1938 world record jump of 72 meters at Berlin, New Hampshire remained unbroken until 1972. 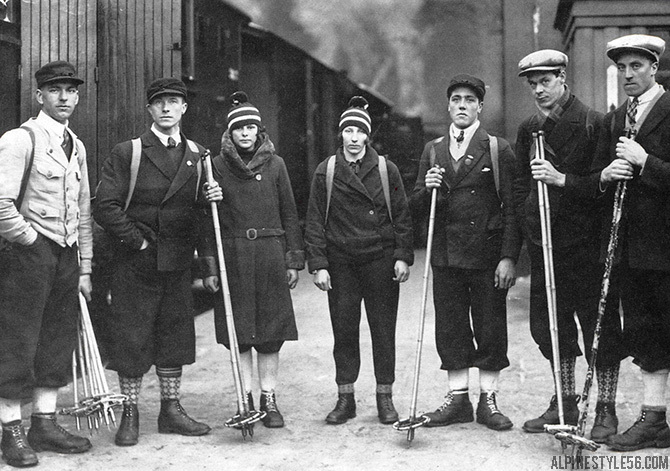 All vintage photos from the book Hopp, Jenter- Hopp! (Jump, Girls, Jump!) by Karin Berg. Finally! 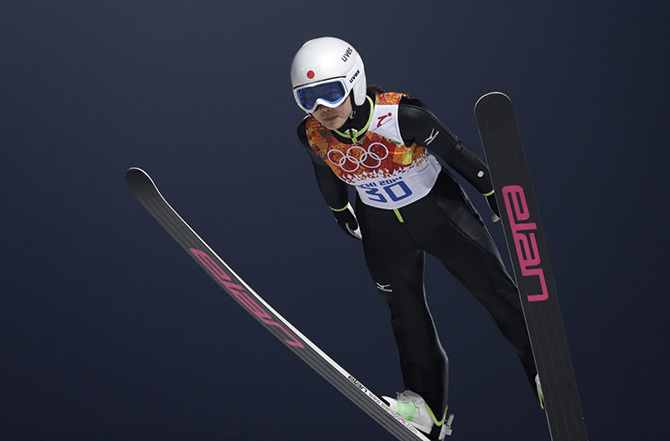 It seems crazy that this is a landmark in 2014 – but given that gender inequality has plagued ski jumping at the Olympic level – there is reason for celebration with the Sochi Winter Games. The U.S. Women’s team — lead by World Champion Lindsey Van, Sarah Hendrickson and Jessica Jerome – has tirelessly fought for the inclusion of women’s ski jumping in the Olympics. Tuesday, that became a reality. 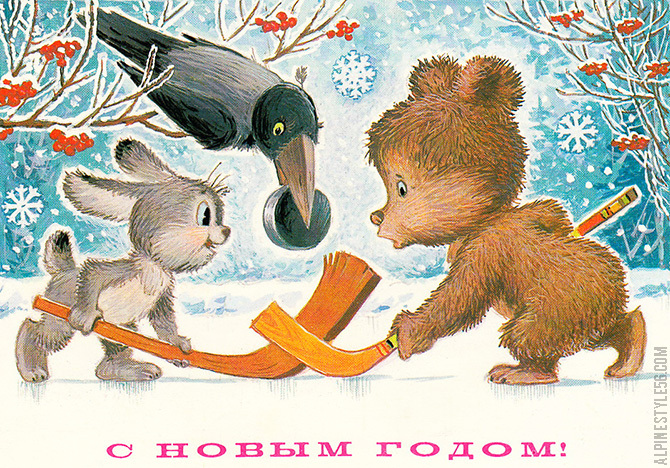 It seems only appropriate to share artist Vladimir Zarubin’s Olympic illustrations on the eve of the 22nd Winter Games kicking off in his native Russia. 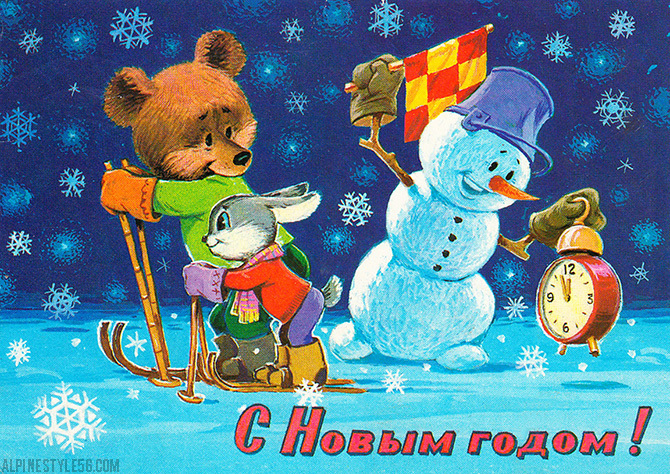 These retro new year’s postcards are believed to be from the mid-1980’s. Wishing all athletes the best of luck with their pursuits and dreams. . . 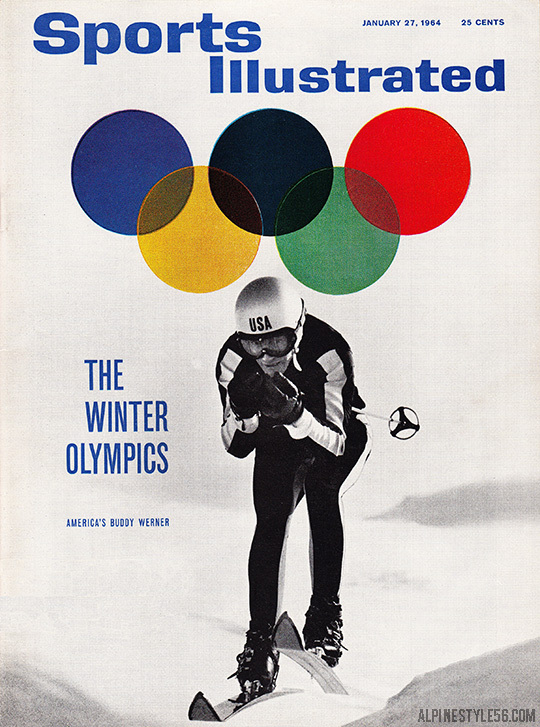 Fantastic Sports Illustrated cover featuring Buddy Werner for the 1964 Winter Olympics in Innsbruck, Austria. Fifty years later, looking forward to all the inspiring images to come out of Sochi in February 2014. Off to the Races: Olympic Skier Lindsey Vonn. In the August issue of Vogue magazine: read the article by Jonathan Van Meter, see the fabulous photos by Annie Leibovitz. 12/18/1970 Press Photo: Stars and stripes head for the slopes this winter too, in the flag waving colors of red, white and blue. 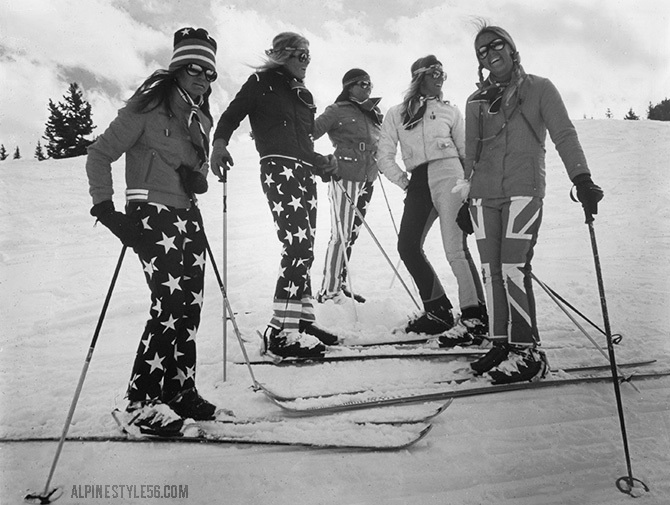 If I were designing winter Olympic uniforms for Team USA – the star pants with stripe cuffs would be serious inspiration!